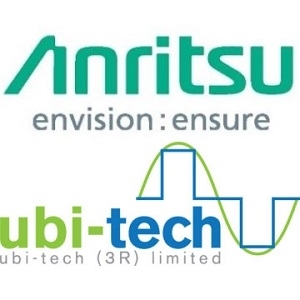 Anritsu has signed a strategic training partnership agreement with Ubi-Tech (3R) Ltd, specialists in delivering engineering & training services to the telecommunications industry. Under the terms of the new agreement, Ubi-Tech will offer Anritsu Approved, instructor led, industry standard, certification training to the telecommunication market in the UK and Ireland. Ubi-Tech will offer access to Anritsu courses including, Site Master Certified Line Sweep Training, Spectrum & Interference Analysis, PIM Master Certification and OTDR Measurements Certification. Ubi-Tech have invested heavily in Anritsu technology and training for their instructors and will be delivering the hands-on training at their hi-tech, first-class training centre in Redditch, Worcestershire, UK.